Benalmadena is recommended as an ideal place for unforgettable family holidays, one of the best on Costa del Sol. 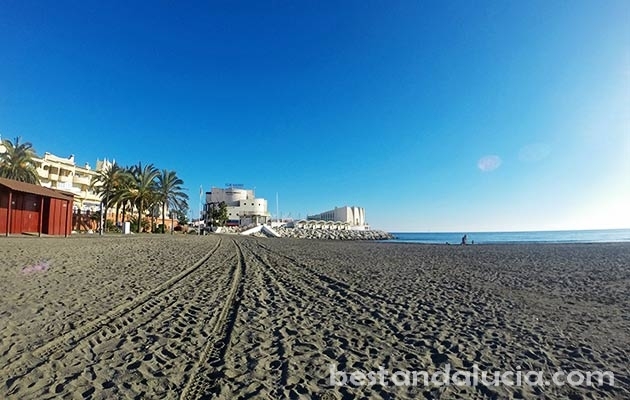 Sandwiched between Torremolinos and Fuengirola, Benalmadena is a popular holiday resort located at the foot of the breathtaking Sierra de Mijas mountains. 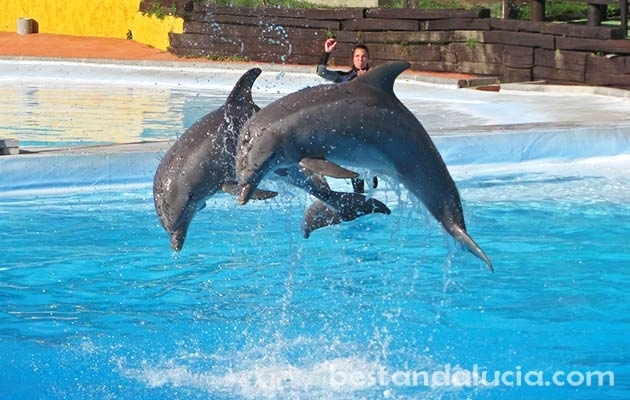 Benalmadena offers a great number of fun and entertaining activities for the whole family. 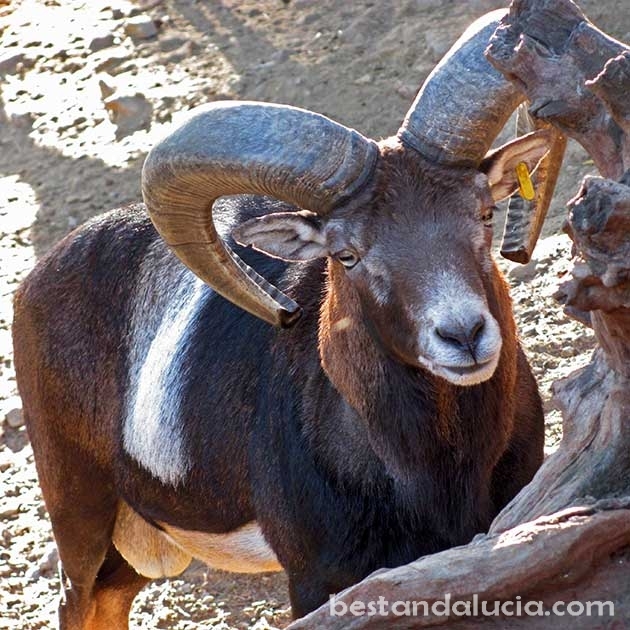 Whether you prefer to spend a day lounging on a beach or would rather spend be more active, you will surely be spoilt for choice in Benmaldena. There are fantastic children-friendly beaches, various theme parks and aquaparks. Got bored? Visit Benalmadena marina where you can admire some of the most luxurious yachts, or indulge in a mountain walk that rewards your effort with breath-taking views from 280 meters above sea level. You will be hard pressed to find a moment of boredom when you visit this beautiful coastal resort. The options to spend a quality time with your family in Benalmadena are simply endless. Tivoli World amusement is Benalmadena’s must-see family holiday attraction. Forty rides in the amusement, a roller coaster, huge ferris wheel, go-karting will keep your kids out of breath. 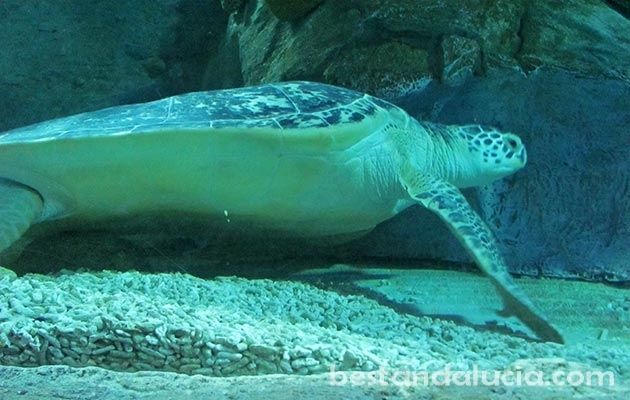 In the Sea Life Aquarium, another popular attraction, located in the marina, you can admire from close range a variety of different exotic fishes from every corner of the world as well as turtles, seahorses and what most visitors like the most, spine-chilling sharks. There are 9 rooms to explore with more than 30 tanks, so take your time to see everything. 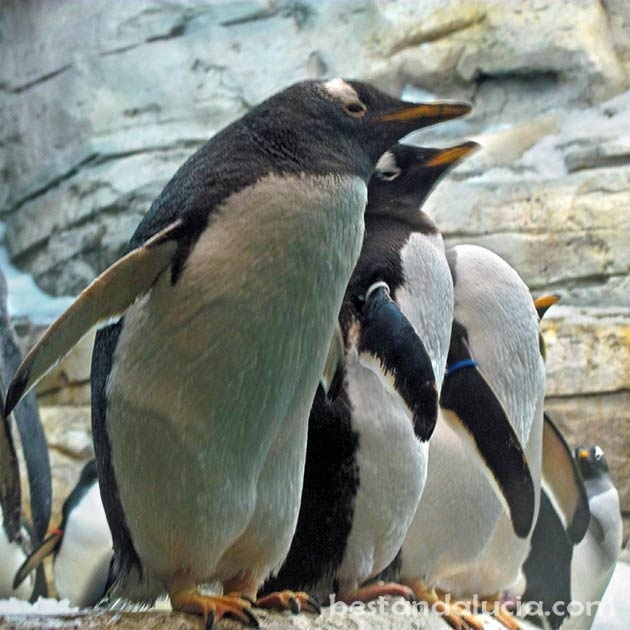 If you are not tired after all the excitement, visit Selwo Marina with dolphins, penguins, sea lions, piranhas, tarantulas, reptiles, turtles and much more interesting creatures. Here, you will have the unique opportunity to swim with a sea lion or swim with a dolphin. 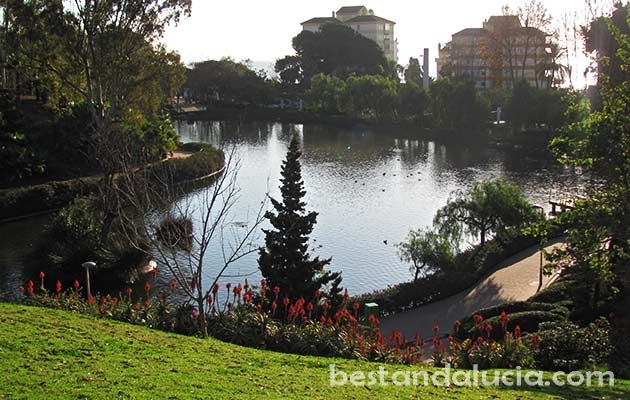 If you are on a low budget, make your way to the lovely Parque de la Paloma with free entrance, as it’s a public park. On 200,000 square meters, you will find all kinds of birds, turtles, ostriches, peacocks and other animals hiding in bushes as well. There is a big playground tgahat your kids will love. If you want to escape the busy Benamadena centre, visit the much more peaceful Old Village, Pueblo, which lies on the top of the hill. It can be accessed on foot, by car or via an urban lift. 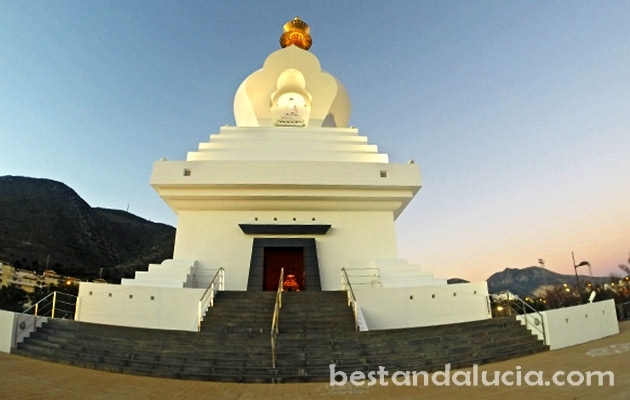 Once your there, go to Benalmadena Buddhist shrine, admire beautiful Colomares castle, the local church, the largest in Europe butterfly park, as well as Plaza de Espana with some great places to eat and drink. 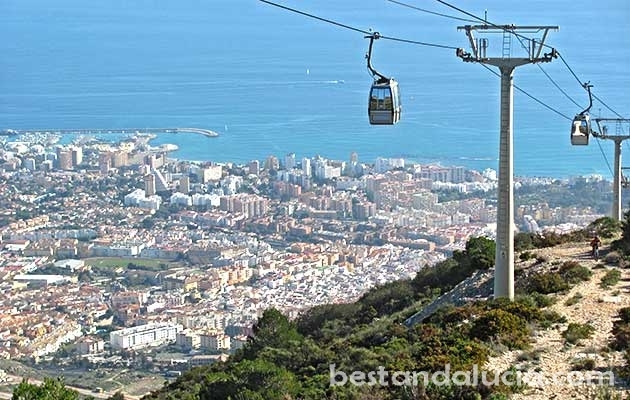 Last but not least, there is a Teleferico cable car which can take you to the top of the mountain. From where you can see Sierra Nevada, the distant Gibraltar, or if the day is clear enough, even the Moroccomountains! 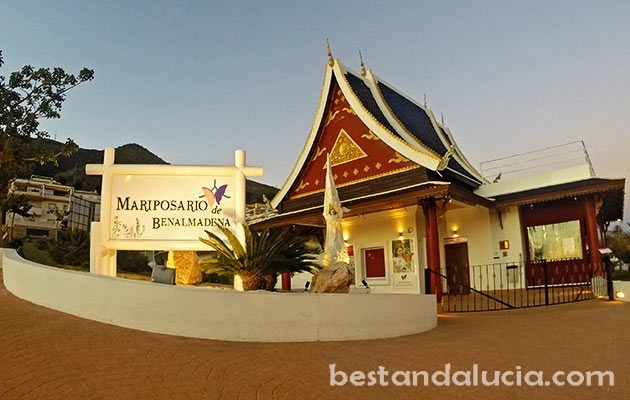 At 5:30 p.m. local time there is a falconry display at the top, you can’t miss it as well if you ever pay a visit to beautiful Benalmadena.